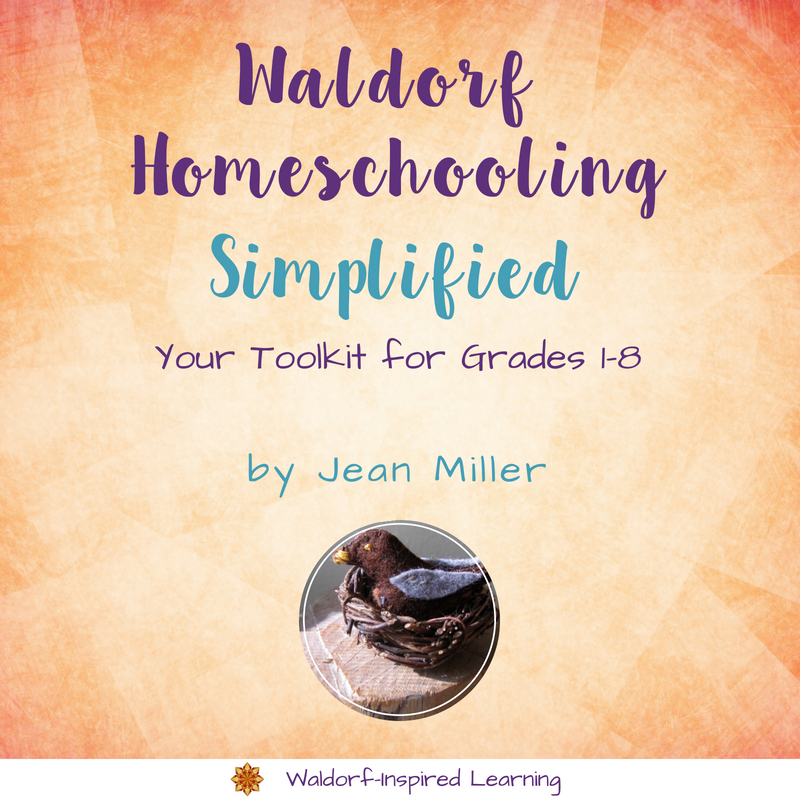 It is Day One of Steiner’s lectures to the teachers in the very first Waldorf School, August of 1919, now published as Practical Advice to Teachers. Steiner emphasized that these afternoon talks deal specifically with teaching methods. We permeate the whole of teaching with the artistic element. We teach writing before reading. We move from the whole to the parts. Teaching is communication from soul to soul. Jean: Steiner gives some great examples here. He is contrasting a focus on the artistic element to thinking in abstracts; “We must not allow ourselves to think only in abstracts.” Steiner goes on to say that we want to foster what is artistic in the child because the artistic element strengthens the will. This is the core of the Waldorf hands-on approach to learning. Jean: I really want to stress here that Steiner says reading and writing cannot be taught exclusively in the manner described here “for if …we were to build up our teaching on the process of evolving reading and writing from drawing, we would have to keep the children at school till they were twenty”!!! Steiner goes on to say “All we can do now is carry out the method in principle while still proceeding to educate the children, always remaining in the artistic element.” To me, this is the prime example of Steiner’s use of efficiency and his practical nature; and what I take from this is that we should introduce letters and words for reading in the manner of having them emerge from pictures, but it is not necessary to present every single letter of the alphabet in this way! On the subject of our authority as teachers, Steiner says we should proceed in our teaching in a way that both nurtures the subject we impart AND fosters a NATURAL sense of authority (especially important between ages 7-14). 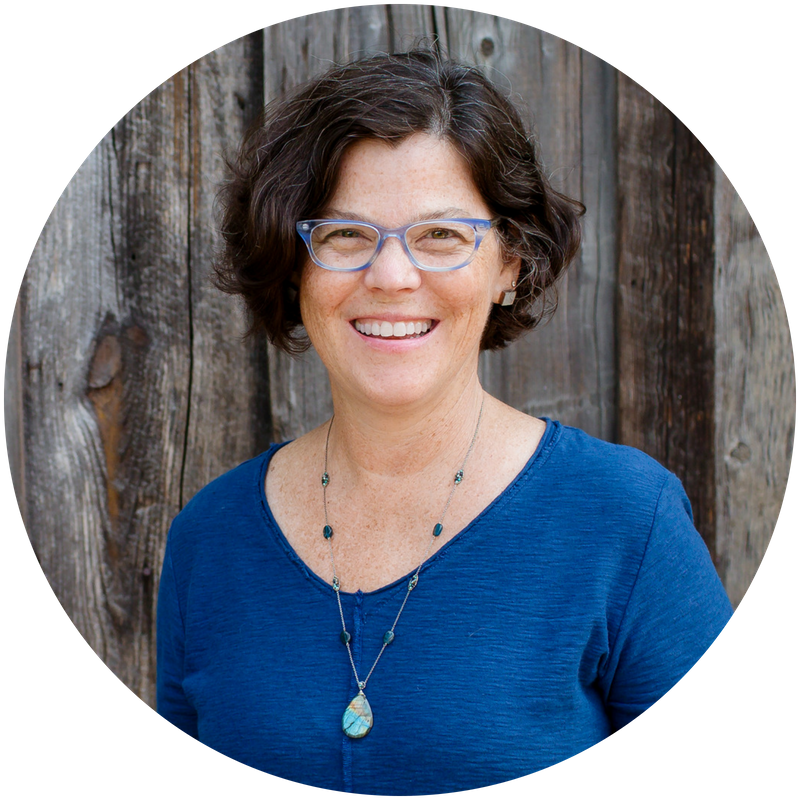 Alison reflects on this: I would say this is a point to reflect on as a homeschooling parent – I feel we can’t be two separate people – teacher and parent – we are teaching parents. In that sense, perhaps our sense of authority would come to the children as stemming from our NATURAL relationship as parents and children. Steiner is always talking about how this inner relationship is the most important aspect of teaching. 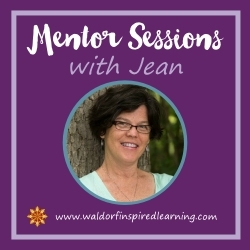 Perhaps confidence in what we are doing would be very important in establishing our authority as homeschoolers – not being too unsure of ourselves, fretful or manic as we go about what we are doing AND imparting our ENTHUSIASM for the material. Children are definitely more receptive to this authority if we teach through art. (Remember that a well-read or well-told story is an art). But Steiner clearly says but we should AVOID “imitative work” and that “it is irrelevant to decide if something is copied properly or not.” His point is that “we want to feel the form not just represent it accurately” (the emphasis here is Jean’s). So, when having your children draw and paint, remember to focus on the feeling rather than the final product. Alison’s take: Now this is important! Steiner seems to be suggesting that the most important aspect of teaching through art is allowing the children to experience the PROCESS of relating to the material in a creative way… we should not be evaluating their efforts …just encouraging them to use their will in completing what they have set out do. 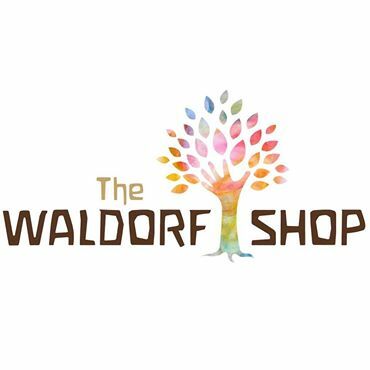 I think parents and then their children alike often feel that they have to get the “Waldorf” artistic stuff exactly right; they have to paint and draw and model in exactly a certain way or the value is lost. I think Steiner would disagree. Another freeing discovery! We are trying to lift the realm of feeling into the intellectual sphere through our methods (I think the curriculum does this very well) by engaging the interest of the whole human being. We want to permeate children’s bodies with the element of dance to encourage this move, this lifting so to speak, to counteract a tendency toward heaviness. Alison asks: this seems cool – are their ways for homeschoolers to do this besides Eurythmy? It is hard to make this happen at home. Jean’s answer: Steiner talks about the Movement Arts as including not only Eurythmy, but also gymnastics and what he calls Ring Games – the kinds of rhythmic activities we do in “circle time” or “warm up time” that include reciting verses, clapping games, bean bag passing to verses and songs. I think also of big circle dances we might do at Festivals. Get in as much movement to songs and verses as you can! This is a process; Steiner describes different “bodies” coming together in a person, that the astral body, the etheric body, and the “I” feeling of the child all become integrated in the physical body. And all of this is developed over a period of years. Alison: We want children to have a proper “I” feeling by moving their “whole” being; their feeling for the material lingers. Abstract, but I think of the echoes of all of those great stories shared over the years….and how this has definitely become integrated into the spirit of my own children… these echoes become transformed into understanding and interest in the later years …. 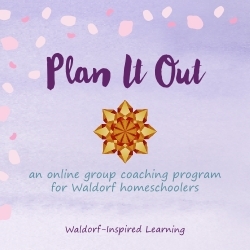 I TOTALLY agree with this – for me this is the foundation of my Waldorf homeschooling and it has very little to do with anything that was actually produced by the kids; it was the process of sharing and doing and discussing together, the warmth to use a Waldorf word. Jean: This is a method that is designed to integrate the soul body, the learning body and the physical body. Steiner talks more about this in later lectures, that our goal as teachers (and parents) is to help the “I” settle into the body without being caught or stuck in it; an education to harmonize all of the elements of a human being! A great ending to Lecture One: “The child must understand not merely through his ears; communication must be from soul to soul. 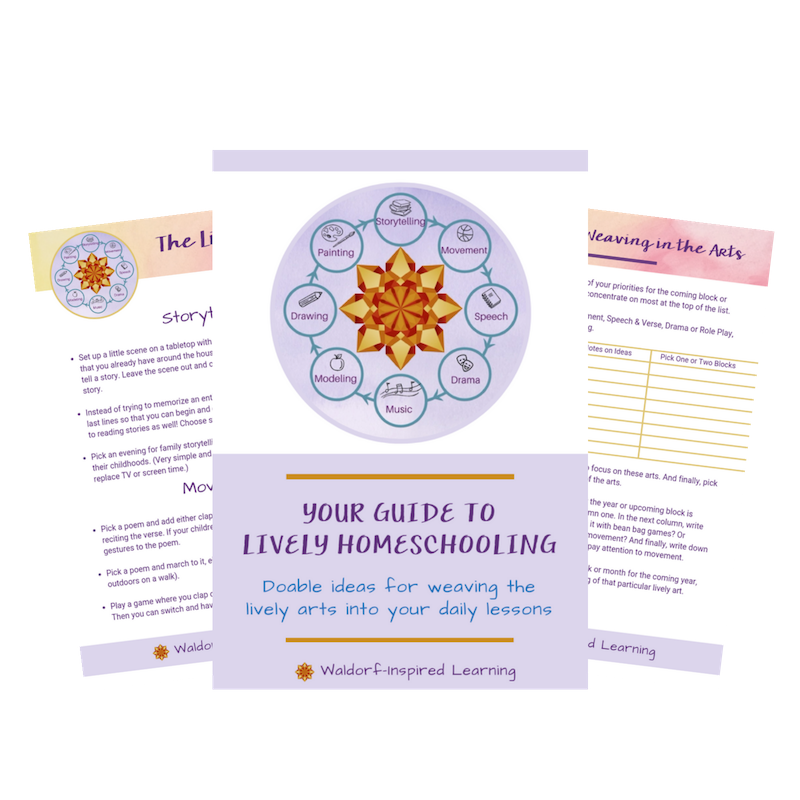 If you take note of this you will make progress.” As homeschooling parents, we are really in a good position to do this – communicate from soul to soul. And if we take note of this, we will make progress! Even as we expand the circle of our children’s knowledge, we do so by fostering connections with and for our children that feed their souls. These lectures are published in three books; the morning lectures in The Foundations of Human Experience; later morning lectures in Practical Advice to Teachers; afternoon lectures in Discussions with Teachers. We invite you to pick up the books and read along. Hi friends. 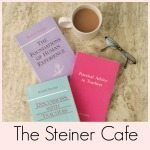 There’s so much in the Steiner Cafe to digest! (pun intended) I want to better understand communicating from soul to soul. Would you be willing to say more about it? Is it similar to Buber’s notion of the “I- Thou ” relationship? Steiner is a bit cryptic, isn’t he?!? I highly recommend reading the last paragraph of Lecture One, where this quote appears. He is talking here about our connection with the material we teach and if we find a deep connection, believing for instance that stories tell deep truths about the universe and the realm of soul and spirit, then we will be conveying that to our children. First Steiner says, “Try not to arouse interest artificially by counting on sensationalism; attempt rather to achieve an inner connection with the children and then let interest arise out of their own being.” He goes on to say, “How can this be done with a whole class? With a single child it is relatively easy. So long as you are fond of the child and seek only in love to do things with him you will find that his whole being is reached and not only his heart and head.” As homeschoolers, we have an advantage!!! And it’s all about LOVE. End of Lecture One. So we are left to digest this and put it into practice! Is that similar to Buber’s “I-Thou”? Philosophy 101 was a very long time ago! Thanks for the great question, Siobhan! Hope you are staying safe and warm through the big winter storm! Hugs to you. Just a quick respone.. Siobhan I looked up Buber and his idea of I and Thou versus I and It and i think it resonates beautifully with Steiner’s thoughts here … so thanks, I even forwarded the link to Jack about I and Thou …he is very into exploring these sorts of questions. Thanks for looking up Buber, Alison! I had a feeling there would be resonance. And what fun that you forwarded to Jack, and that our older children are exploring some of the same ideas we are! Ahh, the arts! That is for sure where we dive deep into our souls. Love those light bulb moments! Let it shine. learning. I look forward to talking more when the timing is right. I am intrigued to learn more about the similarities between Steiner and Buber. I will check out the book you mention; did Buber write much about education, or are others applying his ideas to the classroom? Intriguing. Glad to have your perspective of working with families and relationships here! Are you all thawed out yet? Our snow has almost all melted but more cold coming later this week. Have a good one!